Welcome to the party! Thank you so much for stopping by to join us this week. I am so thrilled to have you share with us. I can't wait to see what you've been up to this week. I hope you all are having a great weekend. My parent's computer bit the dust this week, so I'm going to see if I can help my dad fix the Windows 10 issue. It is so frustrating! Tired of your floors? Do what Lolly Jane did the affordable way and paint them. It turned out great. Check out the before pics. Junque Cottage shared her amazing fireplace makeover. Don't miss what it looked like before the paint! Old Things New shared a great posts of the ups and downs when painting and waxing upholstery. The chair looks fabulous. Repurpose and Upcycle shared a great tutorial for transforming an image to wood. My Thrift Store Addiction did an awesome job on footstool makeover with a grain sack striped cushion. Parent Club shared a great way to organize all those plastic lids. What a great idea! 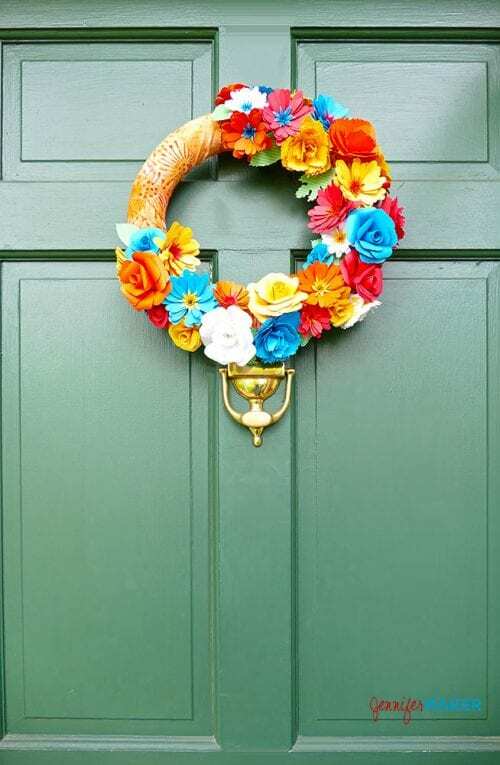 The Crafty Blogstalker guest blogger, Jennifer, shared a tutorial for making this beautiful paper flower wreath. 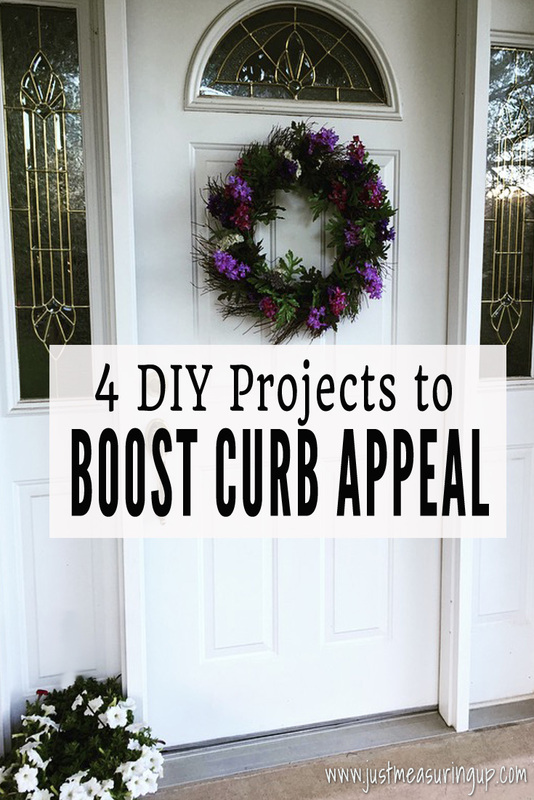 Just Measuring Up shared 4 DIY projects that will boost curb appeal. Powered by Mom Gilled shared her Chicken Salad with Strawberry Vinaigrette that is one of my favorites. YUM! 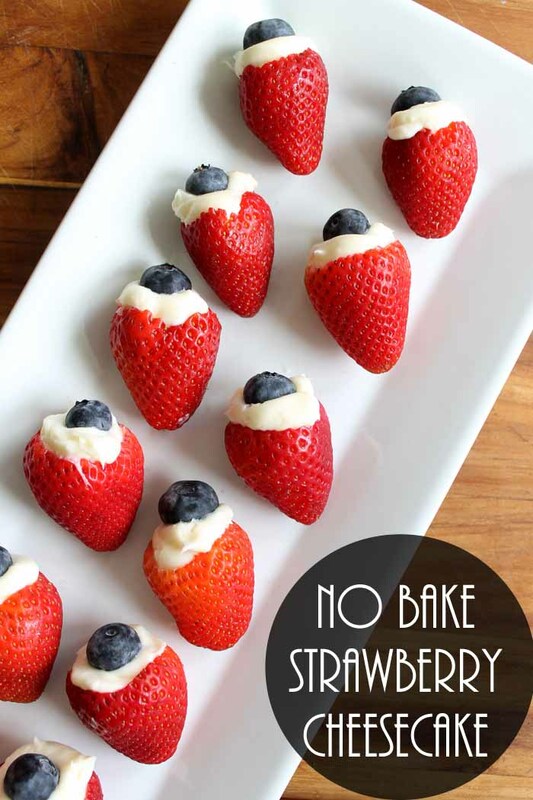 The Country Chic Cottage shared her No Bake Strawberry Cheesecake that is perfect for the Fourth of July. The featured blog this week is Claire Justine. 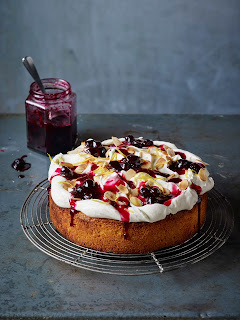 Check out this Earl Grey's Blueberry and Almond Polenta that looks so delicious. There's lots of great inspiration from food to fitness! Hope you're having a wonderful weekend. Thanks for the party! Thank you so much for the lovely party! 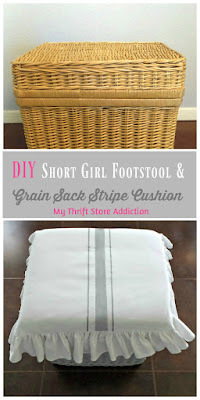 Hi Kathy, thanks for featuring my DIY Short Girl Footstool makeover! Thank you for the party today, Kathy. I love that lid organizing idea you featured; very timely as I was just thinking I needed some help there! Kathy, thanks for hosting. Hope you have a wonderful weekend.